“God has been very good to me. Last year I experienced a lot of illness; my blood pressure nearly gave me a stroke, but I trod on; waking up at 2am and heading to work – exhausted sometimes, aching in my body and soul, mentally and emotionally drained. But I kept going. I smiled for the camera. I volunteered for extra shifts. “I showed respect to my colleagues – from directors to the security guards. I took a lot of jealousy-driven vicious insults and backstabbing from petty people without reply. I remain silent in my personal strife and misery. “I kept smiling and pushing on to present better and to engage with my audience and increase my following – long days and frustrating times. But I kept going; through the West Gate mall coverage, through the Mandela funeral – even when illness had me collapsing I delivered. Those were the chilling and pungent words of Komla, who sadly passed away, just hours after sending that message to a friend and former colleague. Was that a cry for help from Komla? What lessons can we all learn from Komla’s Book of Life? 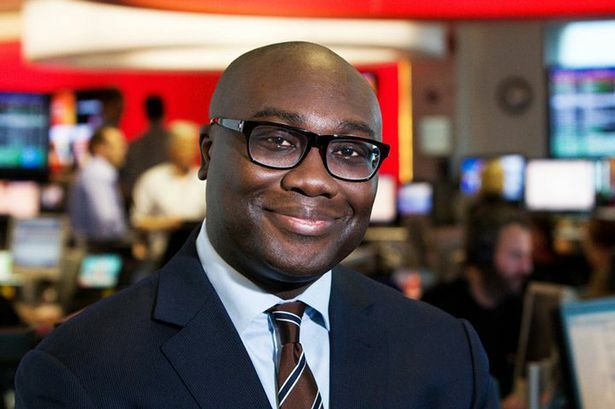 Ghanaian born Dumor was a presenter for BBC World News and its Focus on Africa programme. 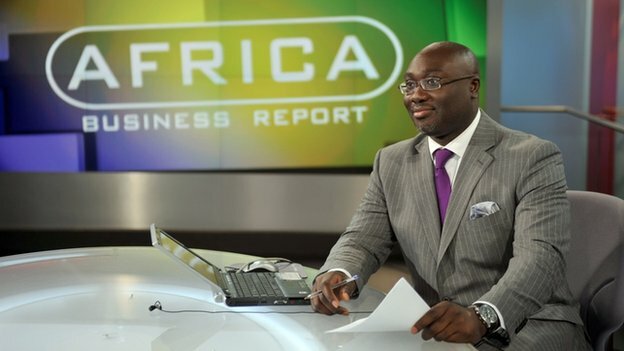 The tragic death of Komla has once again opened up a debate about African professionals’ attitudes to the world of work, in an ever increasing competition for excellence, and the need for maintaining work life balance. 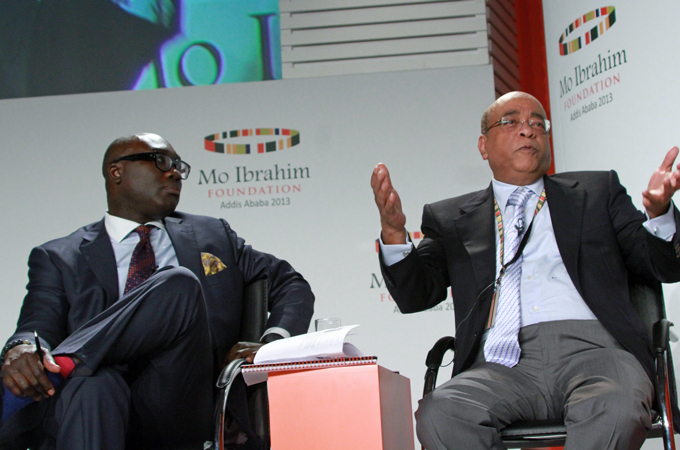 (Photo: Komla and Mo Ibrahim). 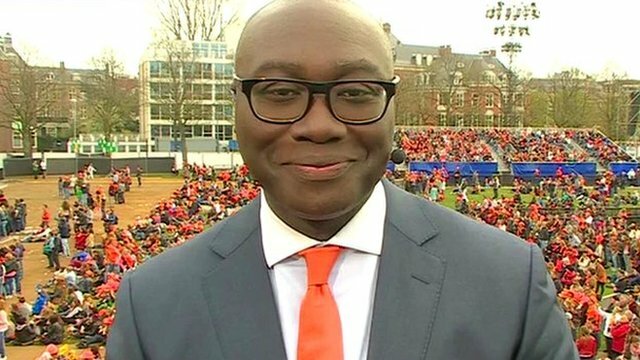 Komla gave more than his best performance to the BBC and his audience. But sadly he did not listen to nature’s warning of impending tragedy. Learning to be aware of one’s physical and emotional limitations is a pre-requisite for longevity and the fulfilment of career ambitions. Learning to say ‘NO’ when the bosses, our employers and those with whom we work, try to push us to the edge, is fundamental to achieving work, life and emotional balance. “God has been very good to me. Last year I experienced a lot of illness; my blood pressure nearly gave me a stroke, but I trod on, waking up at 2am and heading to work; exhausted sometimes, aching in my body and soul, mentally and emotionally drained. But I kept going. I smiled for the camera. I volunteered for extra shifts. “I showed respect to my colleagues from directors to the security guards. I took a lot of jealousy- driven vicious insults and backstabbing from petty people without reply. I remain silent in my personal strife and misery. The last words of Komla, sent to a friend before passing away yesterday. Komla was crying out for HELP. As a ‘Best Practice’ employer, was the BBC aware of his suffering? Komla – may your soul rest in perfect peace. We shall all take a leaf from your book of life. Sleep well my brother.